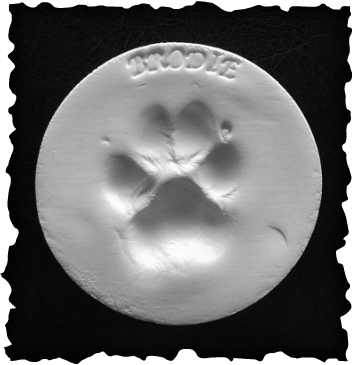 Our compassionate staff offer complimentary personalized paw prints to help memorialize your beloved pet. Many of our clients prefer to take advantage of one of our personalized urn packages to help simplify things during this emotional time in their lives and to best memorialize their furry family member. NOTE: This small urn is a 'keepsake' urn designed to hold only a small portion of your pet's ashes.